Winston Salem, NC— The Hayes Group International, Inc. announced today that Dr. Michael Comer will become new president of the group and a member of the company’s board of directors, effective January 1, 2016. This restructure is part of the firm’s business continuity plan. As part of the plan, Dr. Merwyn A. Hayes will continue as CEO and concentrate primarily in coaching and advising senior-level and C-suite leaders. Marge Hayes will continue her role serving clients and as Managing Partner overseeing business operations, finances, and business growth. Comer, who recently celebrated his 15th year with Hayes Group, will serve clients as coach, facilitator and trainer and also assist in overseeing client work for the other 29 members of the Hayes Team. 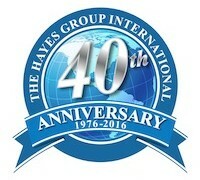 “In 2016, the Hayes Group will celebrate its 40th anniversary as a company. During that time we have worked with over 1,700 corporations in 28 countries of the world and helped elevate hundreds of leaders to become the best they can be. As part of our business continuity plan we are anticipating the next 40 years, and with Mike’s new role we are setting up to serve our clients for decades to come,” according to CEO Merwyn Hayes. Comer joined The Hayes Group in 2000 after serving seven years as a leader with Andersen Consulting (Accenture) and working as an independent consultant with companies such as Upjohn and Pharmacia, Ameritech, KPMG, and Computer Science Corporation. Mike has a doctorate in organizational leadership and has personally worked with over 80 companies during his career – concentrating on coaching leaders, facilitating team development, and conducting leadership training. Founded in 1976, The Hayes Group is dedicated to “elevating organizations by helping leaders and teams become the best they can be.” The Hayes Group International is a full-service organizational consulting firm. To learn more visit www.thehayesgroupintl.com or “like” their Facebook page.